Calling all presidential history buffs! You’ll soon be able to see all 44 U.S. presidents under one roof. Madame Tussauds is at work on a new $2 million gallery, the ultimate three-dimensional tribute to America and its commanders-in-chief. 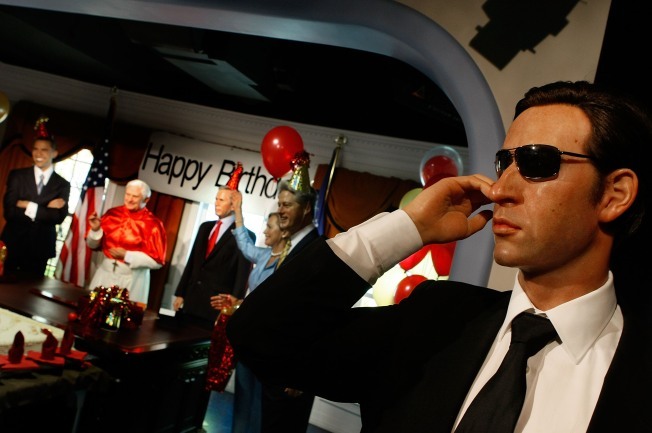 The gallery will house wax figures of all 44 presidents. Studio artists have been crafting wax figures of 28 "missing" presidents. The D.C. location of Madame Tussauds already has 16, including Barack Obama, Ronald Reagan, George Washington and Abraham Lincoln. Each wax figure takes about three to four months to complete and requires an extensive amount of work. In order to make the wax figures as lifelike as possible, artists study hundreds of photographs and (when available) hours of video footage. In some cases, of course, they only have historical accounts, or perhaps paintings for reference. Throughout the year and all across the country, there have been presidential "sightings," such as President Gerald Ford for the 97th anniversary of his birth at the Ford Presidential Museum. Founding fathers George Washington and Thomas Jefferson were spotted at the Independence Visitor Center in Philadelphia over the July Fourth holiday. Most recently, Presidents Washington, Jefferson, Roosevelt and Lincoln took a road trip to Mount Rushmore in honor of the 69th anniversary of the monument’s completion. The new gallery opens Thursday, Feb. 17, just in time for Presidents Day, at 1001 F St. N.W.